Better photo of Suffolk Farm Painting from Saturday's Hampton Roads Plein Air Group session! 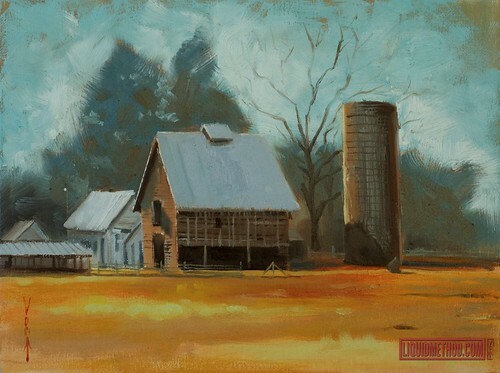 Better photo of Suffolk Farm Painting from Saturday's Hampton Roads Plein Air Group session!, originally uploaded by Liquidmethod. This was a really fun session! We didn't freeze, temp was low 60's, slight wind to keep the gnats off us. Consistent lighting and especially awesome sushi and the possible location was found for a future session.